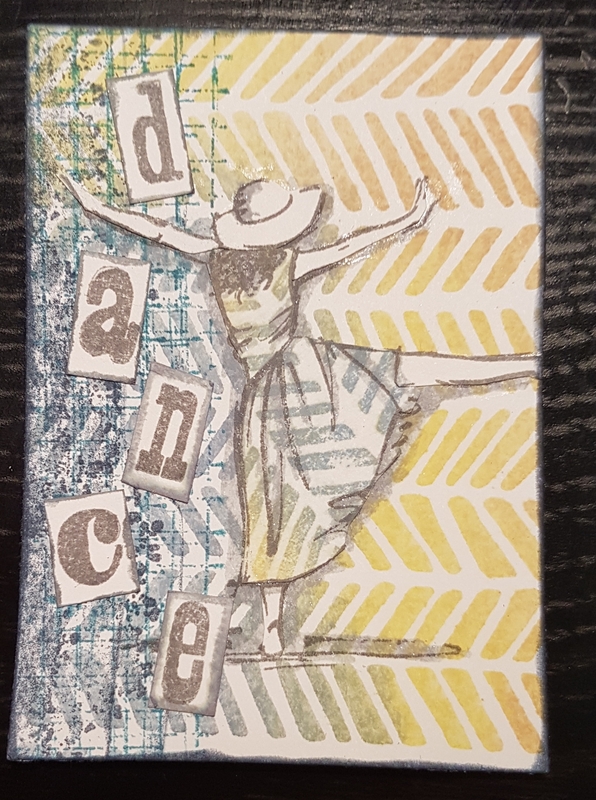 I filmed my first use of the stamp platform… but then messed up the editing and lost the video so it has now disappeared… however more importantly here are what I made with what I did on the video. These two ATCs were made from the handcarved stampin up stamp I did using the stamp platform. 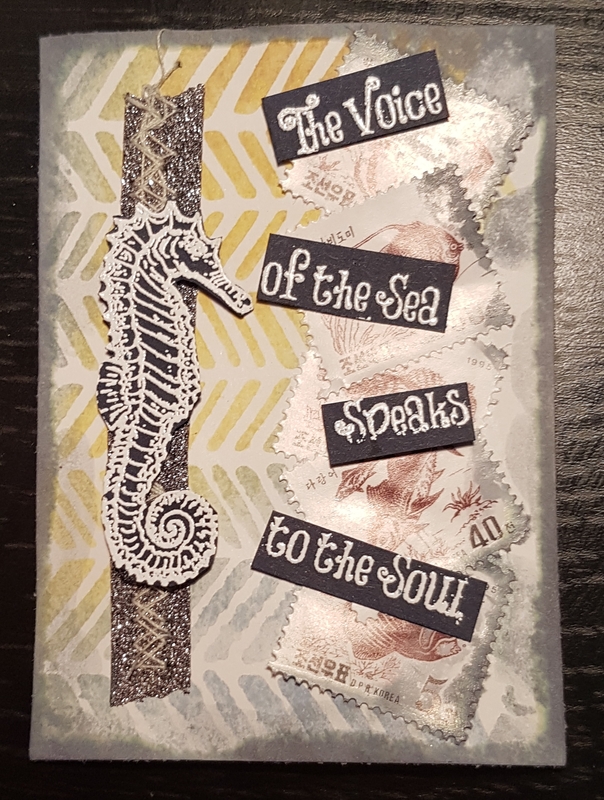 This first one I added some fish themed stamps and then the embossed seahorse. I also added some washi tape and sewing just to add some additional elements and then the title. I finished off with a generous amount of distress oxide watered down for the edges and over the stamps. The second one I did some paper piecing with the girl from Beautiful You stampin up set. 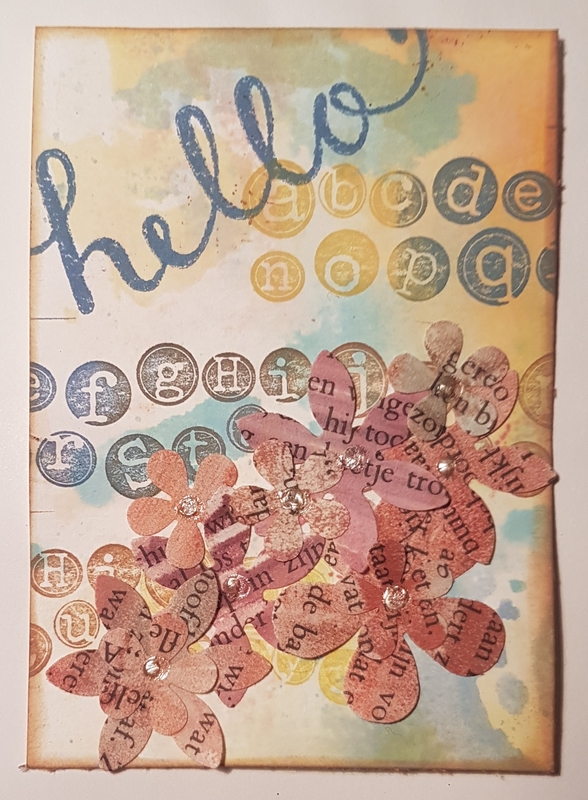 I also added stamping onto the background using the Gorgeous Grunge stamps in a couple of blue colours. The title is stamped using clarity stamps. I added the grey shading to the image and the edge of the letters using distress oxide in Iced Spruce. 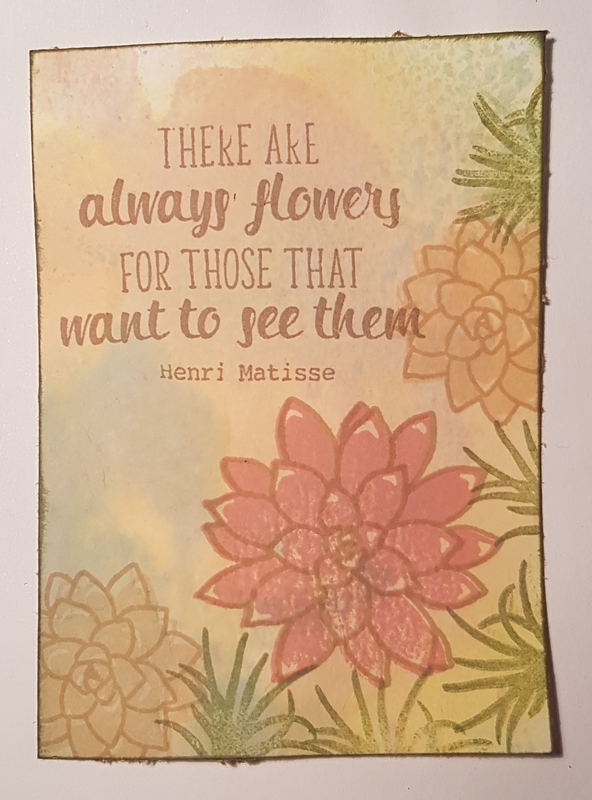 This one I created with lots of layered stamping (only possible with the stamp platform!) 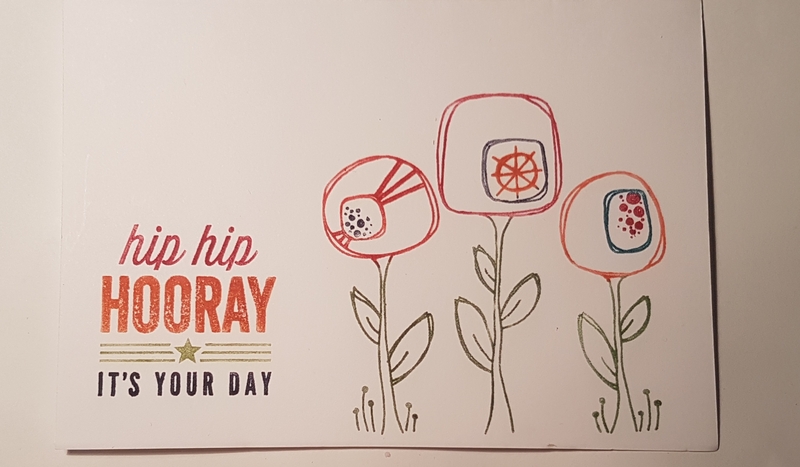 and the Oh so succulent stampin up set. Next is the one I created the multicoloured stamping in the background with the platform. I finished it off with some flowers I got as an extra in a swap and a little additional stamping of the title. I also added the little pearl accents to the centre of the flowers for a little bling! Finally the card I made colouring the stamp with markers. I love the multi coloured stamping. So there you have it… a few finished projects! And I can safely say I love the stamp platform. So please I have got it and looking forward to more playing with it for some other techniques.